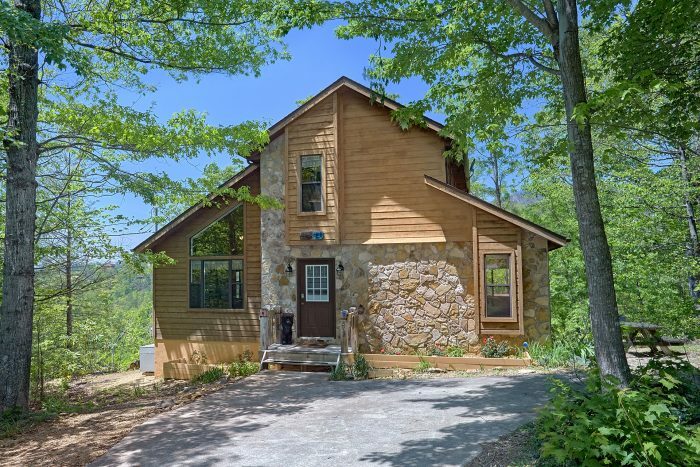 Nestled in the picturesque Cobbly Nob area of Gatlinburg, you'll find "Mountain Breeze," an affordable 2 bedroom cabin that sleeps up to 6 guests in comfort! 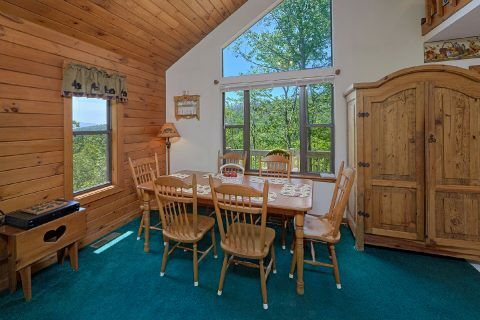 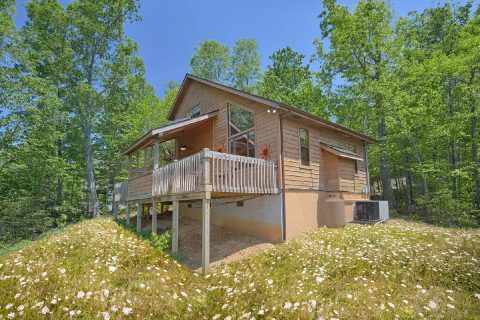 This cozy cabin the mountains is just the right size for a small family vacation or a weekend getaway with friends. 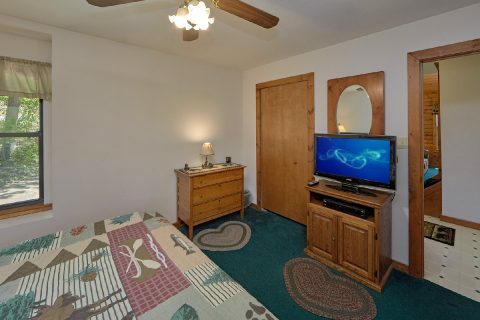 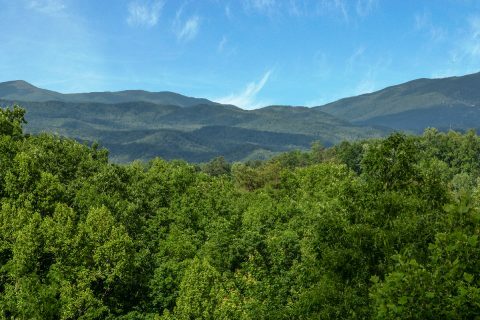 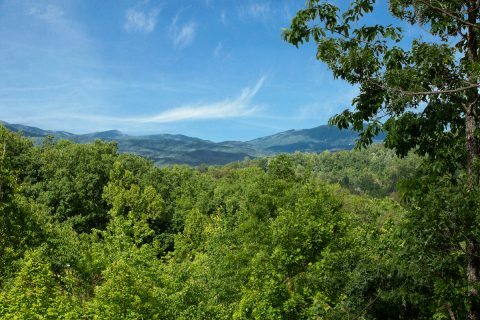 This rental's lovely location just a short distance from Gatlinburg's East Parkway, so you can enjoy quick access to Downtown Gatlinburg and the Greenbrier and Cosby regions of the Great Smoky Mountains National Park. 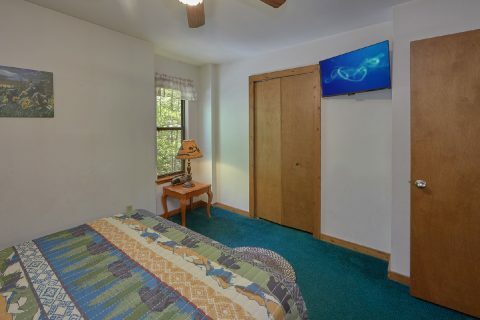 Step inside your rental, and you'll find a great place to unwind with the people who matter most! 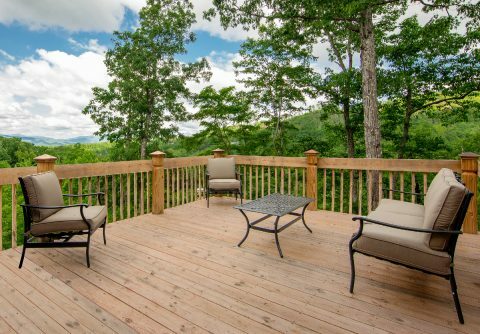 Rest your weary bones after a beautiful day of hiking in the mountains in your cabin's hot tub on the deck and unwind while you enjoy this cabin's nice view and pleasant scenery. 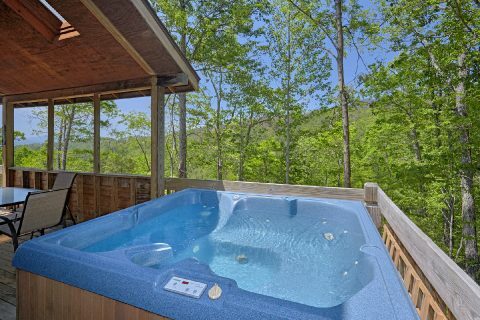 Additionally, your cabin's resort area also offers outdoor pool access, so you can enjoy swimming in the summer months. 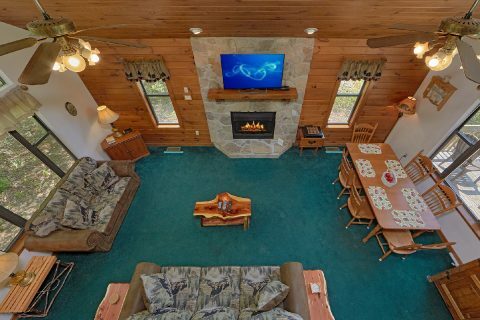 Inside in the main living room area, you can relax by the gas fireplace while you spend quality time with your family and friends. 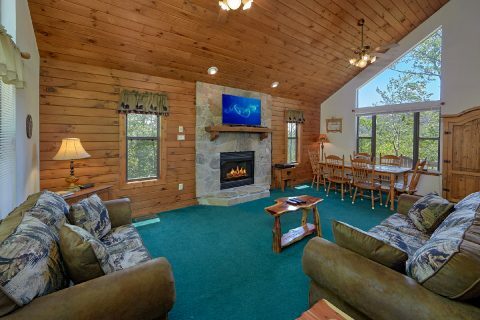 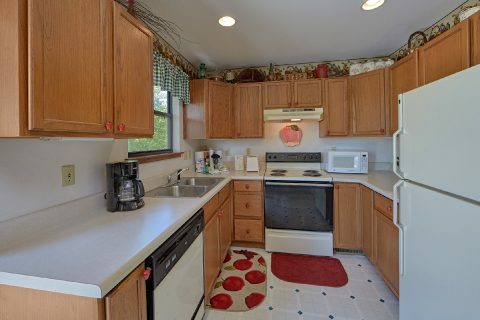 Nearby, the cabin's full kitchen provides you the option of preparing tasty, cost-effective meals in the comfort of your rental. 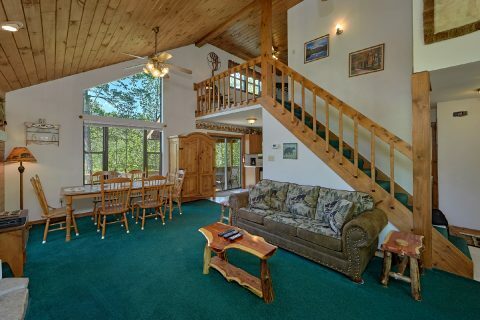 For some in-cabin entertainment, a foosball table and air hockey table is provided in the upstairs loft. 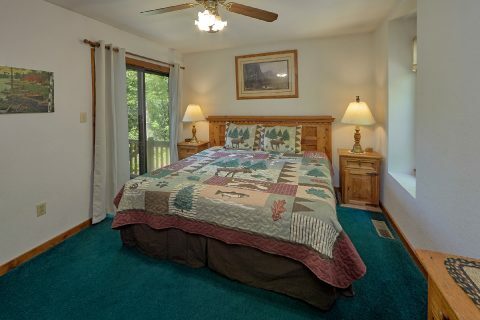 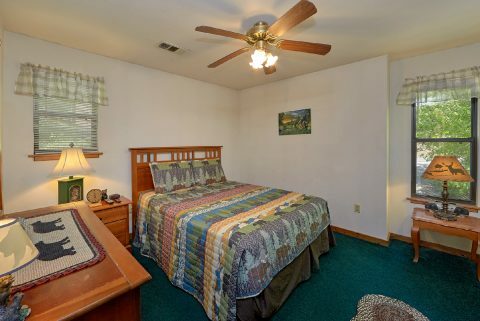 Altogether, "Mountain Breeze" provides a king-size bedroom on the main level, a queen bedroom upstairs, and additional sleeping space to accommodate up to 6 guests in total. 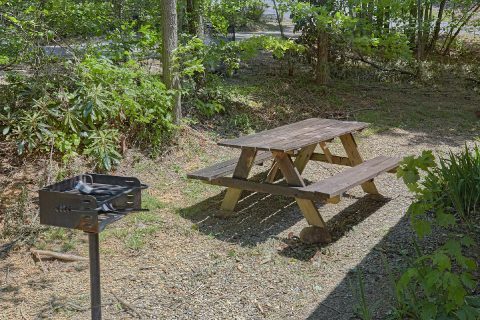 Lastly, this rental also features a washer & dryer, charcoal grill, and WiFi Internet for guests to use during their stay. 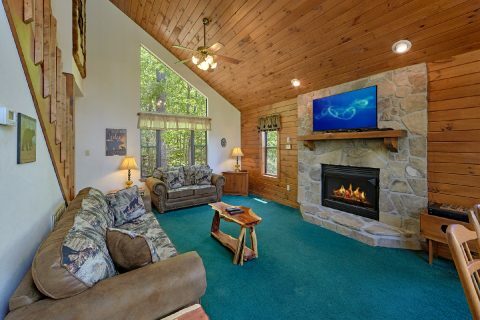 Start your affordable Gatlinburg vacation today by booking "Mountain Breeze!" 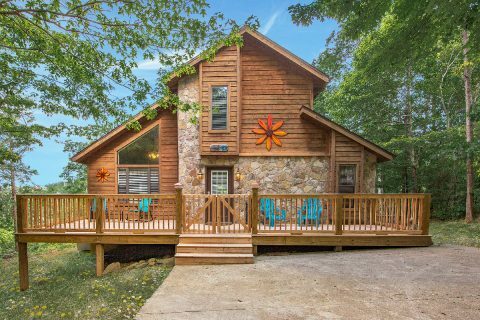 Check this cabin's availability today to see how much you can save with our special 15% cabin discount!